The Right Reverend Stuart B. Chernoff located in Kingston, NY prides himself on being opened to ‘All Ways’. His philosophy for joining people is to be true and honest to their beliefs. As an Ordained Clergy of the Spiritual Humanist Church he is dedicated to the magic and spirit of Human connectedness. It is through this inclusive attitude and respect for an individual’s chosen path in life that he can truly bless a marriage and form a protective bond around a couple. 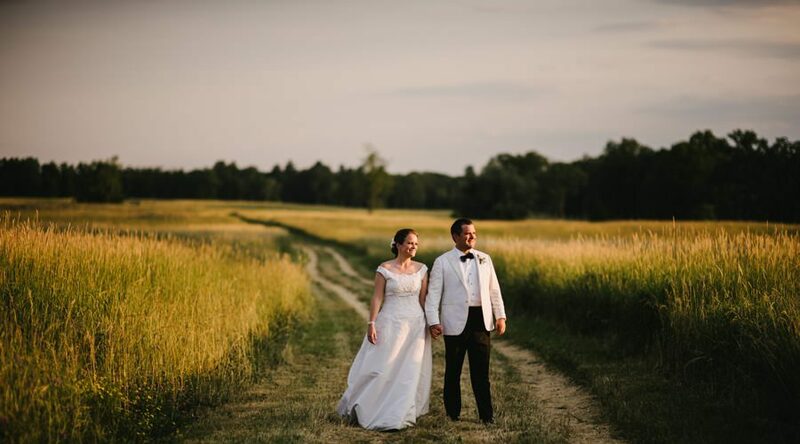 Stuart ‘s unique approach allows him to perform an extensive array of wedding ceremonies ranging through the cultures of, Christian, Jewish, Spiritual, Pagan, and Uplifting Non-Denominational. And, from his experience as an entertainer, he can create ‘Specialty Ceremonies’ by using his unique Brooklyn humor, or singing your favorite tune at any time during the ceremony. Additionally, as with any thespian, his attire can be formal Clergy attire or full vestment, to his natural, hip NYC vintage look. And yes, he looks great in a simple suit and tie as well. Rev Stu, This is long overdue but THANK YOU for making our ceremony so special and personal. All of our family loved it and so did we! Thank you for paying attention to all the little details and making it all so wonderful! Hi Rev Studio Stu,Thanks again for officiating our ceremony on Nov 19th. It was perfect and exactly what we wanted.. which is quite remarkable because we started without knowing what we wanted. Your laid back style and insightful suggestions were a perfect fit for us.Thanks again! Reverend Stu was perfect! He worked with us to create the perfect ceremony. Throughout the planning process I never had any trouble getting in contact with him if I had any questions or concerns. We could not have found a better officiant for our special day!!!!! Stuart Chernoff was absolutely wonderful officiating our wedding!! He was a true professional and a tremendous help during the planning process. The ceremony he wrote was amazing. As a matter of fact, I had a couple of friends and family members that thought he had known us for years! We had many positive comments and would recommend him to anyone. Rev Stu was the officiant that married us and we could not have chosen anyone better! The right person was truly sent our way! We are not religous, but are very spiritual people and Rev Stu came up with a service that was a beautiful reflection of exactly what we wanted. Plus he is a hip guy with a great style, and he fit in perfectly with the natural & unique wedding we wanted. What a great pick with Rev Stu! Reverend Stuart B. Chernoff was our officiant on May 22. He took the time to get to know us as a couple as well as our parents. Once he had an idea of who we are and what we were looking for, he put together a beautiful, thoughtful ceremony. He asked many questions and allowed us to do the same. He was easy to speak to and he listened well. He was very flexible, answering our emails and phone calls promptly. Reverend Stu performed an elegant ceremony not only for us but also for my parents whom re-newed their vows during the ceremony. 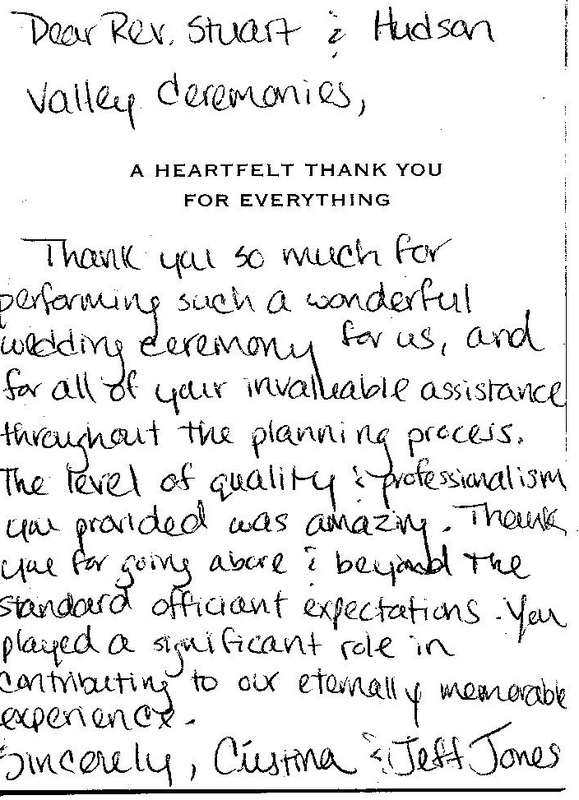 We highly recommend Stu and Hudson Valley Ceremonies. Stu was Fantastic! Everyone commented on the ceremony and how wonderful it was. Thank You So Much for making my precious daughter and new son-in-law’s wedding a huge success.